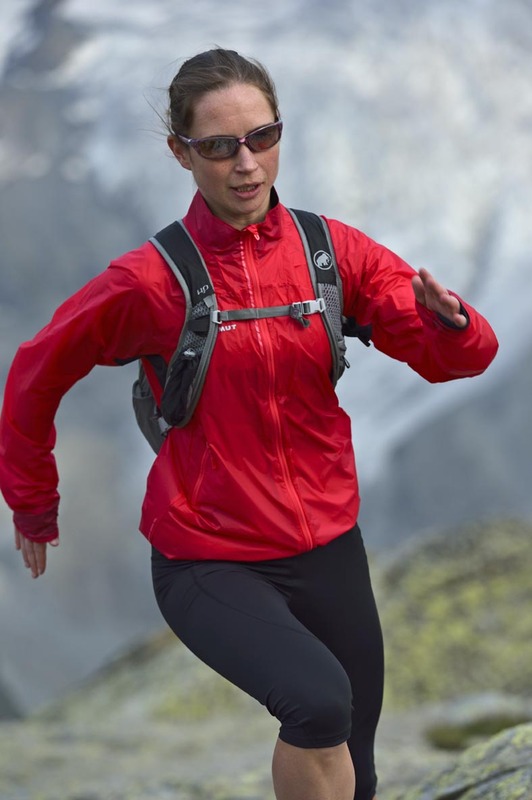 Helen Bonsor, Mammut sponsored endurance running and ultra marathon running athlete, will be joining us on the Dig Deep Peak District weekend to give a talk on her experiences. She will be also taking part in the 12.12 mile on Sunday 22nd before she heads to the British Championships the weekend after the Dig Deep Races. Helen has run in ultra marathons all over the world and below she talks about why she runs and I am sure that many of you will run for the same reasons. I think that no matter what stage you are at in your running career – whether elite or beginner – the feeling of freedom that running in the mountains and fells can give, can be appreciated by all. We are really looking forward to having Helen with us for the weekend and can’t wait to hear more! “Having grown up in the Lake District UK, and now living in Scotland, I have always been passionate about the outdoors and spending time in the hills. For me, hill running is a way of life, and is what continually pushes me forward – and it enriches my life in adventure and rich friendships. Some of my favourite races are technical 1 day races in the Alps, and Alpine stage races, where I enjoy racing day after day in big mountain scenery. I still work full time, and it sometimes a challenge to fit both work and running in! Running for me is the ultimate freedom in the mountains. Few things beat the feeling of being totally focused on the movement of running in the mountains and feeling of moving quickly through the terrain and scenery as you run. T-shirt – excellent fit and extremely breathable running top, good in all conditions. Check out our latest addition to the Dig Deep Race Series: Dig Deep Suffolk, 6th&7th September 2014. 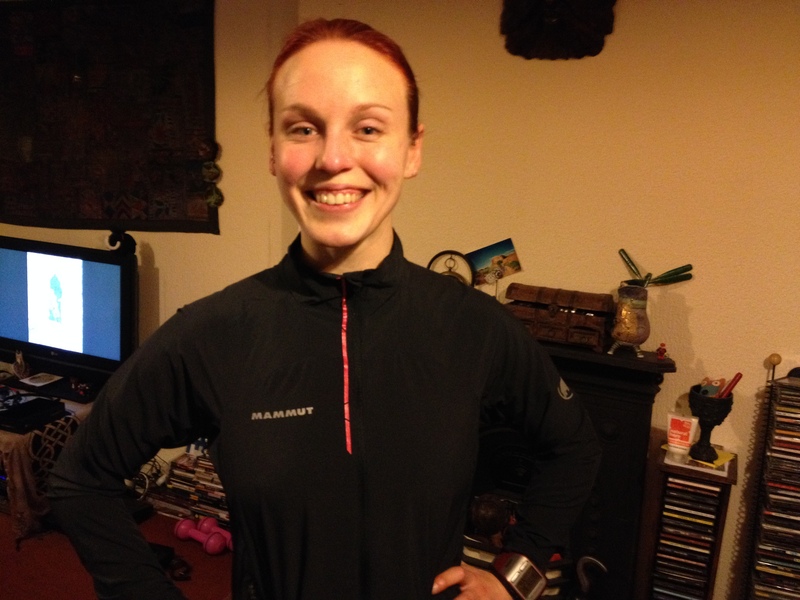 Thanks to Matty Brennan for his first ultra marathon training diary installment. We hope you enjoy reading what he is getting up to, whilst preparing for the Dig Deep Races UTPD! I am currently in the 6th week of my 16 week UTPD training plan, and it’s starting to go well. I think I’m pretty well recovered from my month of madness (just over 1 race per week from 1st December to the 18th of January – not recommended!) and feeling good. Most of my training is either done on roads or canal path as I live about an hours drive away from any decent hills and have 2 small children and a wife who plays netball to share training time with. My training plan comes from The Endurance Coach, which is based around a VO2 max test, with a 16 week training plan on the back of it with specific sessions and heart rate/pace to stick to. I’m currently hanging around 40 miles per week, which will increase nearer to the race but not a great deal more – I put in a load of base training in the lead up to the Lakeland 100 last year, so it’s just speed I’m missing now! 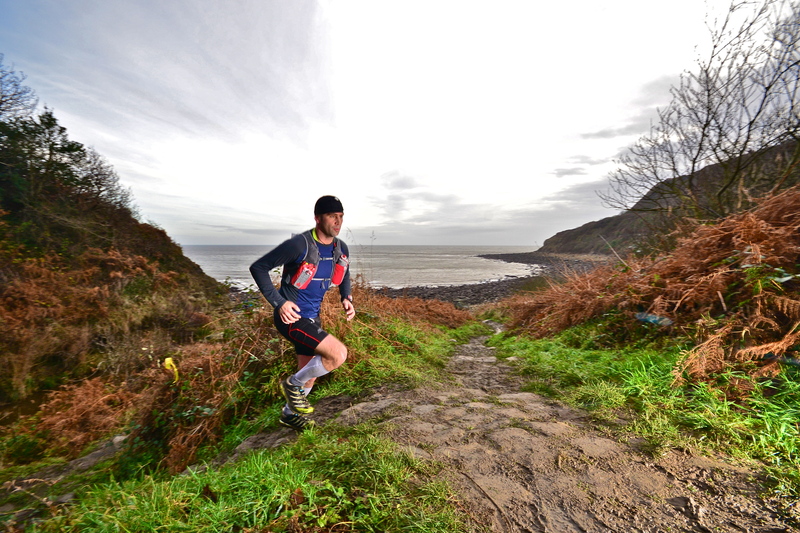 Mostly this year my racing has consisted of cross country, and the Hardmoors 30 on New years day (where the photo is from – courtesy of Summit Fever Media). Coming up is the Grizedale Trail Marathon next week, The Hardmoors 55 in March, the Highland Fling in April, the Old County Tops fell race (37 miles, 10,000ft of climb) in May, all in preparation for the UTPD in June. Can’t wait! Don’t forget that if you haven’t been on any parts of the courses for the Intro Ultra or UTPD then book yourself onto a Dig Deep Peak District RECCE day – coming up on March 16th – tickets £5 – Book Here! It’s mid-February and I’m six weeks into my 25 week training plan for the UTPD. This is the first time I’m attempting a race of anything like this distance – my first ever Ultra Marathon was the Dig Deep Intro last July, and my longest race to date is the 34 mile Ribble Way Ultra. It’s safe to say running 60 miles is new territory for me but, as long as I put in the training, there’s nothing to stop me running the distance. The only way to find out is to go for it! I’ve just run a 48 mile week, and will build up to 70 before the race. The training plan itself is one I’ve taken from the book Relentless Forward Progress, and then doctored to fit around the rest of my life and the few other races I’m doing before the UTPD. I’m a keen climber too so on rest day or a low mileage day I’ve been heading to the climbing wall. Unlike running which will get me out in all weather, I must confess to being a fair-weather outdoor climber! I find the core strength and balance you gain from climbing to be helpful to my running and as I often run alone, the climbing is a great social way to train too. Plus it’s fun! I live in town and have a long commute to and from work so I don’t have time to run on trails every day. However, at least once per week I get out and run on the trails and fells for a long run – my local favourites being Anglezarke Moor towards Darwen Tower and Winter Hill, and the stunning Parlick and Forest of Bowland. I ran my first race of the year at Dig Deep’s Resolution Run, which was on a beautiful frosty day and I have a few other races lined up before UTPD. The Haworth Hobble in early March (32 miles), the Manchester Marathon in April (which I’m doing for charity and drawing as I go) and the Great Lakeland 3 day Mountain Marathon in May, which will be great nav practise and my first go at back-to-back-to-back long runs. I’m really excited about all of these and the challenge ahead in the run up to the UTPD. Wish me luck! Sally Fawcett, who was one of the Filming Competition winners, has written a piece on her recent training. Sally was the first female to finish the UTPD ultra marathon in 2012 and she is now back to compete this year. I now consider myself a fell runner, last year I was definitely a road runner with an interest in the fells but I had one goal to tick off. I had come so close to getting sub 3 hours in the marathon, I didn’t want to leave road running behind until I had reached that goal. I had a blip in Nottingham marathon, pulling out at 18 miles last September with a slight muscle strain. Being a physio I listened to my body, treated it and strengthened the muscle so that 3 weeks later I had another go at the Amsterdam Marathon. I managed to get a switch from the half to the full marathon, ran really well to get my sub 3 (on my 8th marathon attempt), coming 20th female in 2hours and 57mins. Now I’m happy to turn my back on the monotony of road running and enjoy the scenery fell running has to offer. I love the views, varied pace and proper food (mini pork pies are a favourite!) that come with fell running. So, despite the weather I have been out exploring the hills, covering lots of the Ultra Tour of the Peaks route as I’m fortunate enough to have it on my doorstep. Since January, I have covered the start/ finish in shorter runs around the Limb Valley, done the Moscar Loop in snow, and an epic long run of 30 miles over Strines Moor before picking up sections of the UTPD over Stanage Edge to the Pole and Wyming Brook. It’s a bit early to be hitting high mileage for UTPD ultra marathon but I have a couple of other races first. I have the High Peak Marathon (42miles) on the 28th February then the Highland Fling (53miles) on the 26th April. Add to that a couple of long fell races and the key for me will be recovery as much as the running, making sure I get plenty of rest days in! Sally was lucky to win lots of trail running gear from the experts over at Outside (our retail partners) and Mammut (our race sponsors). If you want to get to know the UTPD and Intro ultra trails and gain some expert insider knowledge then head along to our RECCE Day on the 16th March. It will also be a great opportunity to check out the latest trail running gear from Outside in Hathersage – we will meet there at 9:45am. Dig Deep Races – Peak District – getting closer! It’s now February and there are only 5 months to go now until the Dig Deep Races – Peak District are upon us! Not only have we had to contend with the wettest January in recorded weather history there doesn’t seem to be any sign of stopping…However this is good news I promise you! Think of all the extra work your muscles are doing wading through all that mud on Parkin Clough, it doesn’t matter if you now resemble a swamp monster – you’ll soon be racing fit for June. We’d like to say a big thank you to everyone who is sharing their training experiences with us – it’s great to hear how training is coming along, it’s also a a bit of a motivational push to read about other runner’s experiences. If you have entered into either the Ultra Tour of the Peak District ultra marathon or the Intro Ultra marathon there is a RECCE DAY coming up – on the 16th March! Put it in the diary! It costs £5 and for your fiver you will be guided around certain sections of the route dependent on which event you have entered. There will be expert athletes on the route taking you round the trails of the Peak District, who will be able to help you with any questions/queries you might have, this is a brilliant opportunity to come and meet some of the Dig Deep Peak District Team, chat to other runners (camaraderie is huge part of Ultra running! ), and learn about the course. We will be meeting at Outside Shop in Hathersage at 9:45am. We’ve been busy filming the winners of our competition – Matty Brennan, Amy Freeman and Sally Fawcett, three very talented and determined ultra marathon runners. I am excited to see how their training comes along over the next couple of months. The first Dig Deep Peak District training diary film will be out at the end of this month. If you have any questions for these lovely people then why not drop us an email or Facebook message? To keep you ticking over and to give you a reminder of the course we have just released our updated Dig Deep Peak District Navigation film featuring the super knowledgable Dave Taylor from Fell Running guide. This episode he is taking you over Parkin Clough, Win Hill & Ringing Roger. The climb up Parkin Clough & Win Hill is definitely one of the highlights of the Ultra Tour of the Peak District and the Intro Ultra (it’s one of the steepest climbs in the area but the view from the top is spectacular! – fingers crossed for a clear day!). If you are taking part in the fun and games on Sunday 22nd June – don’t forget the 10km & 12.12 course are featured in our film of last year’s event – my personal highlight of this route has to be climbing up Higger Tor, taking in the view over Burbage then scrambling down the otherside.